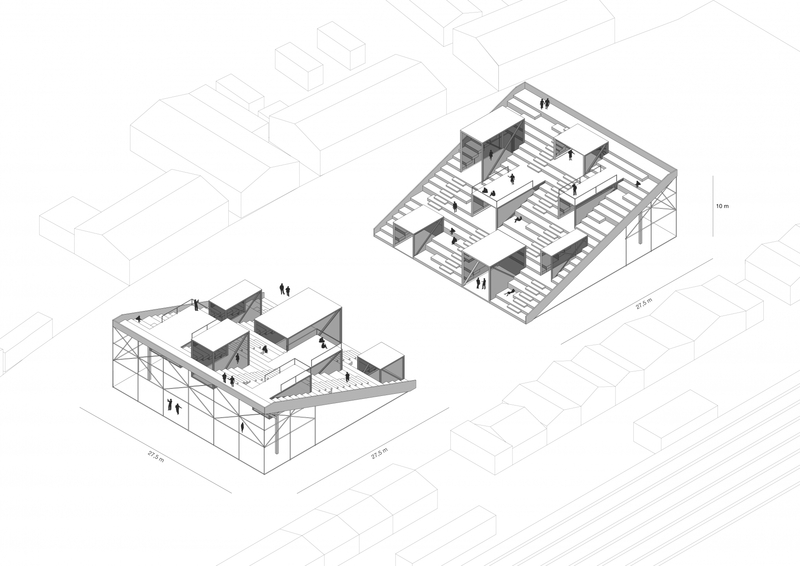 Re-Make/Re-Model — Why Don’t We Do It On The Stairs? 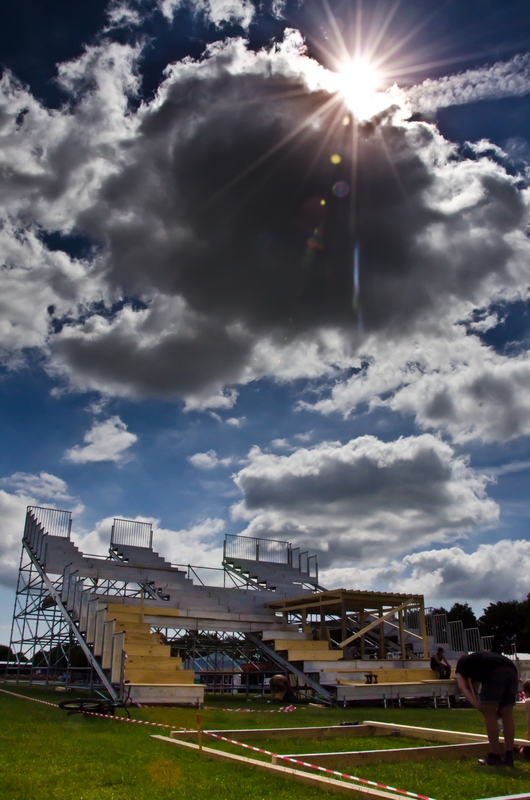 WHY DON'T WE DO IT ON THE STAIRS? 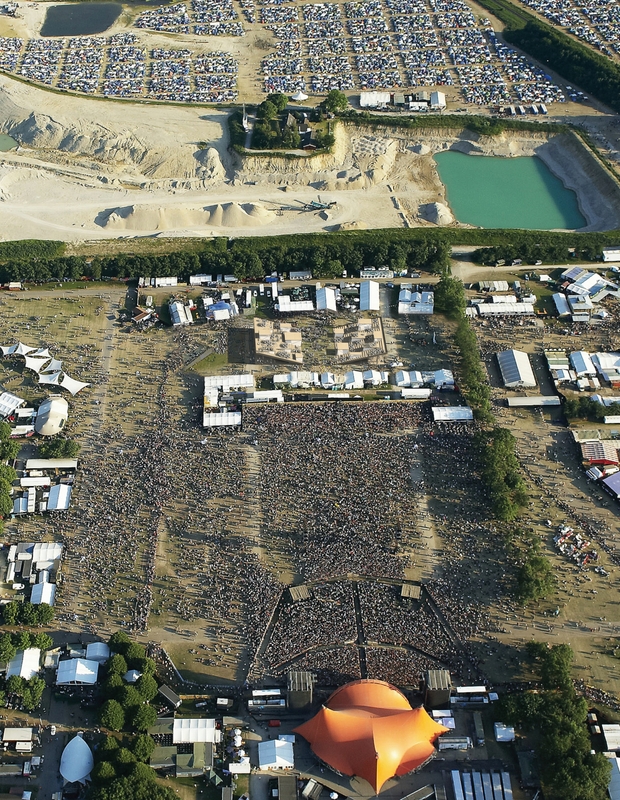 Roskilde Music Festival is one of the most vibrant urban areas in the world with 120.000 people gathering in a field to celebrate music, culture, life and each other. These people aren’t there to be told what to do! They are there to have the time of their lives! 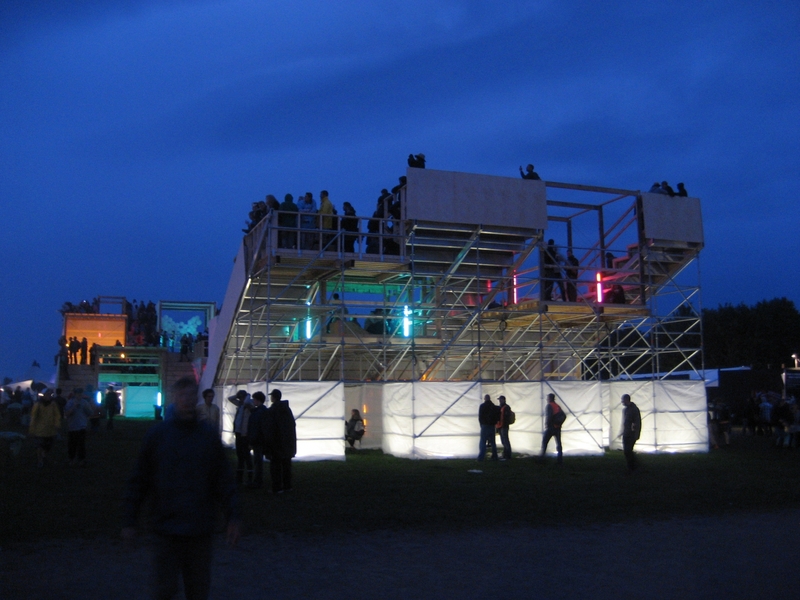 It is their festival and they want to create their own environments and experiences! 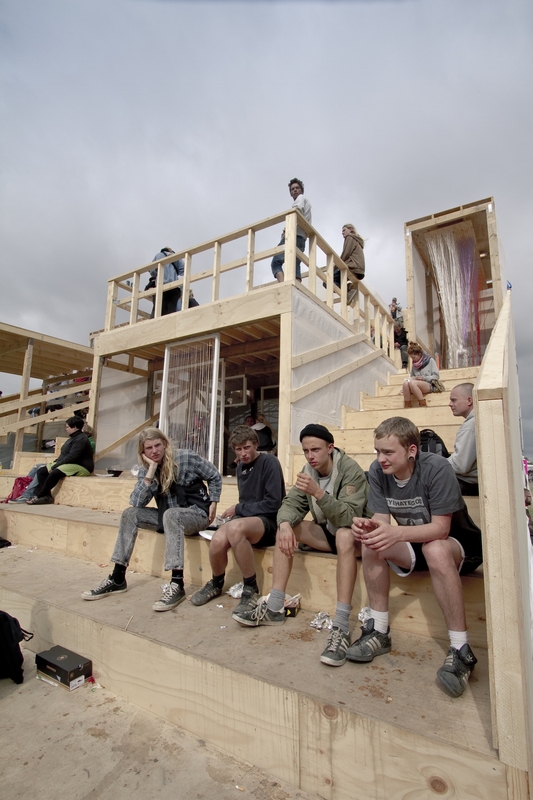 All we can and all we should do is to create environments that beg the question:…WHY DON’T WE? 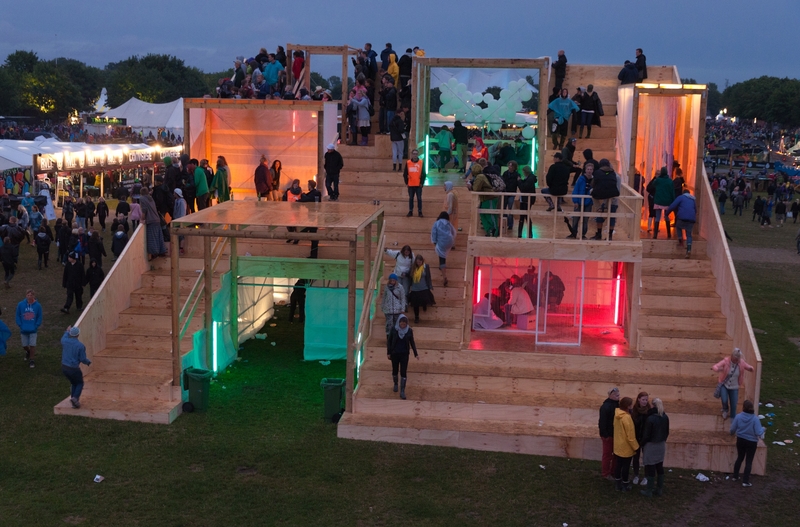 ‘Why Don’t We Do It On The Stairs’ is an open and flexible concept providing a variety of spaces to accommodate all sorts of activities throughout every hour of every day of the festival. 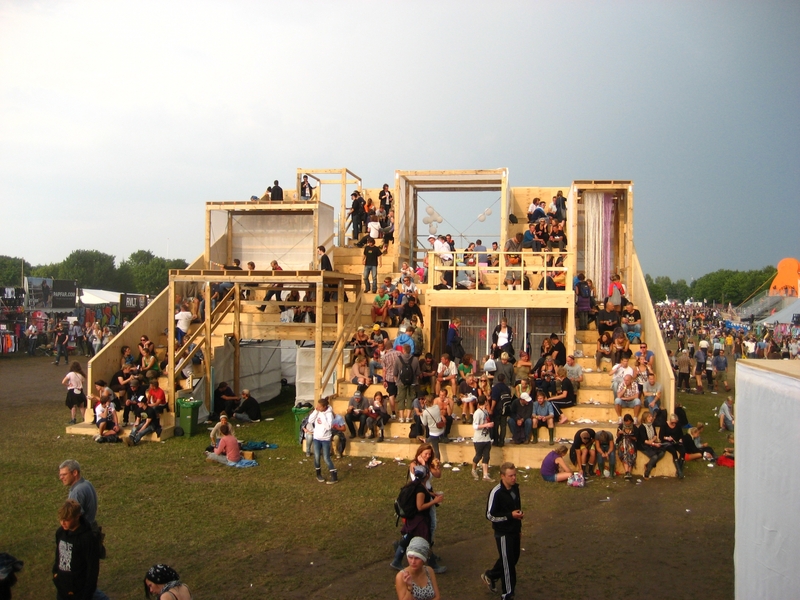 By creating two large stairs offering seating with views of the festival grounds and filling them with activity boxes where anything can happen, people can always find spaces that suit their mood - whether they want to learn how to make music, dance, kiss, meet other people, play boardgames, sleep, read newspapers or just sit down and look at people (and all the crazy things people do). 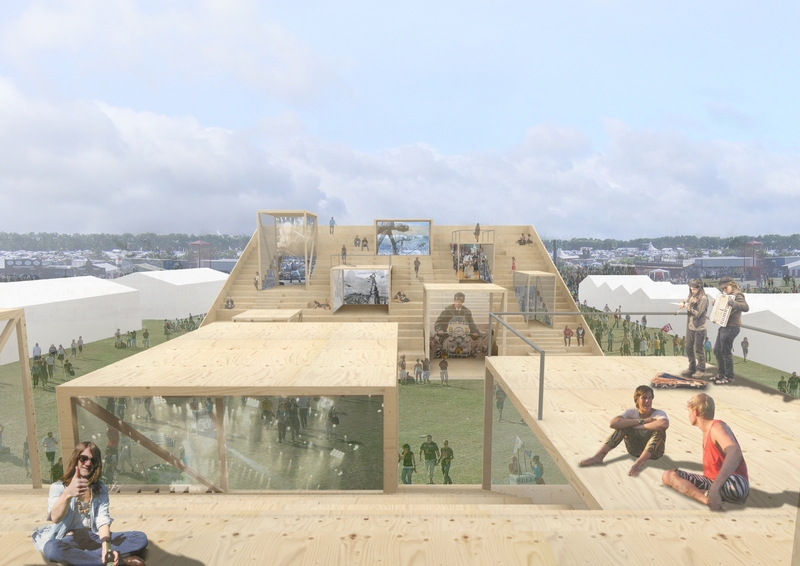 The project won the architectural design competition 'Build What Here?' 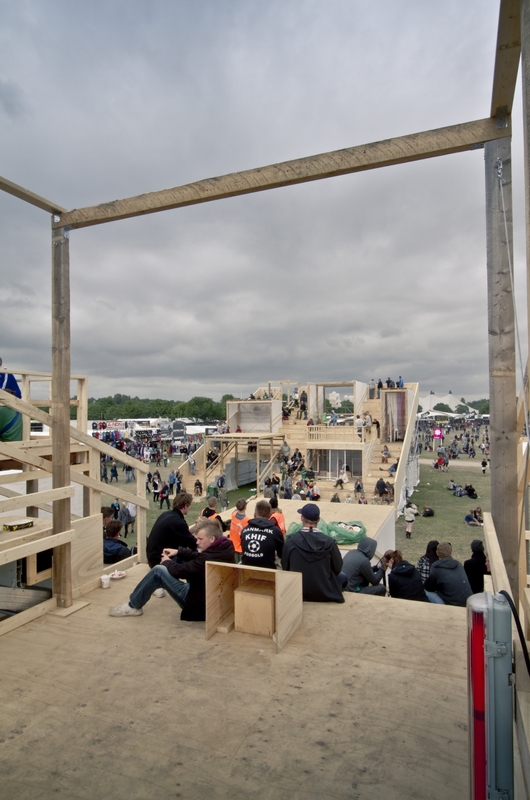 organised by the Danish Architecture Centre and Roskilde Festival, to create an architectural design for the Culture Zone at Roskilde Festival 2011. 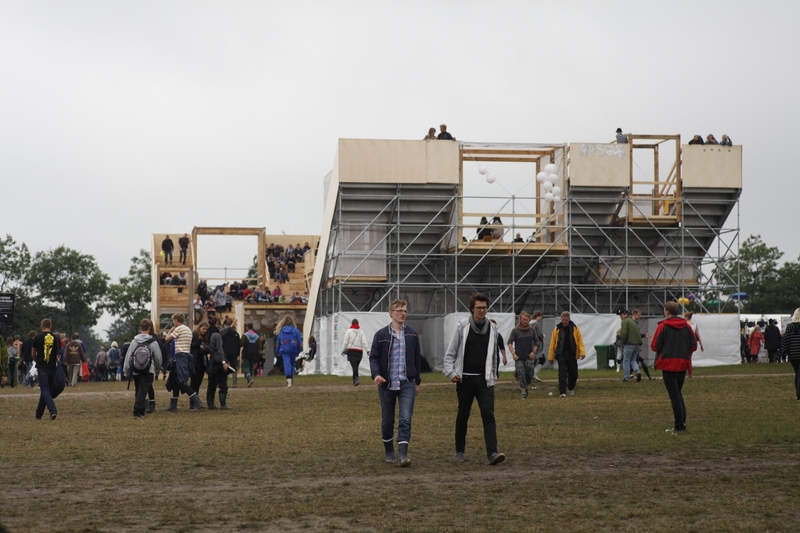 The structure was built for the Roskilde Festival (26.6 - 3.7 - 2011) and was featured in an exhibition in the Danish Architecture Centre in Copenhagen opening on the 7th of May.